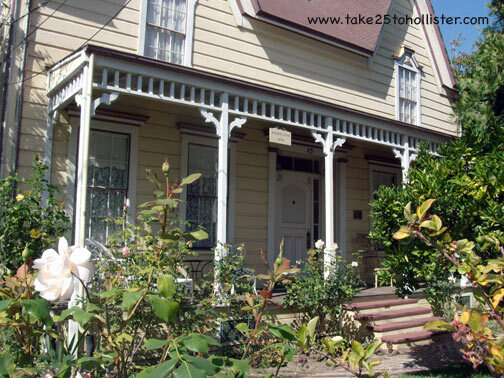 Hollister, California is a real town that has been around since the 1870s. Unlike the fictional town created by a corporate clothing company, Hollister is no where near a beach. The town is about 45 miles east of the Pacific Ocean. Seagulls occasionally make their way over the mountains. Hopefully, they are able to find their way back. 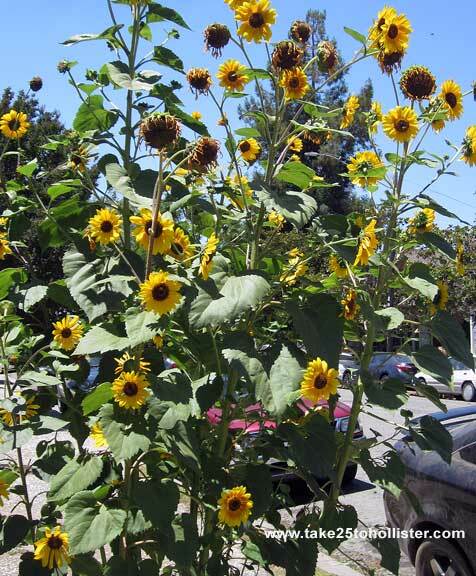 I spy with my little eye sunflowers growing near the corner of Fifth and West Streets. Every summer I am surprised when I see sunflowers smiling at this spot. Many thanks to the person who grows and tends to them. Thank you very much for your kind and generous words and hugs as the Husband, Molly the Cat, and I adjust to life without the Mama. We appreciate the love very much. For you, today, this first day of May, I give you a photo of gorgeous flowers that I spied in a front yard in San Juan Bautista. Hugs with much love to each and every one of you. Recycle, repurpose, and reuse. 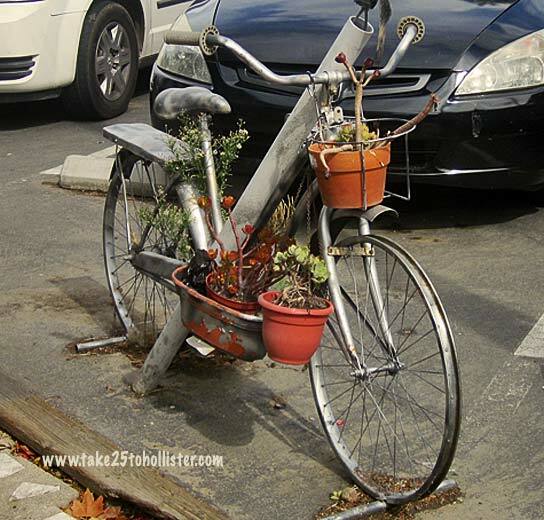 This bicycle planter that the Husband and I saw on our walk in Downtown Hollister fits the bill. Trés cute, don't you think? Many communities throughout the United States have a public rose garden. Hollister is no different. 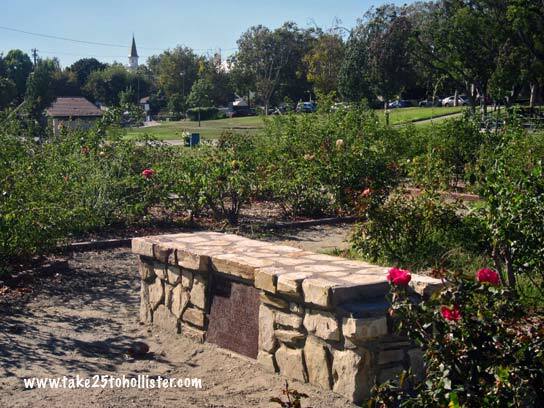 Our rose garden is located in Dunne Park, at the east end near West Street. It's small, but beautiful, whether tended or not. The garden has nice paths to walk among the roses. 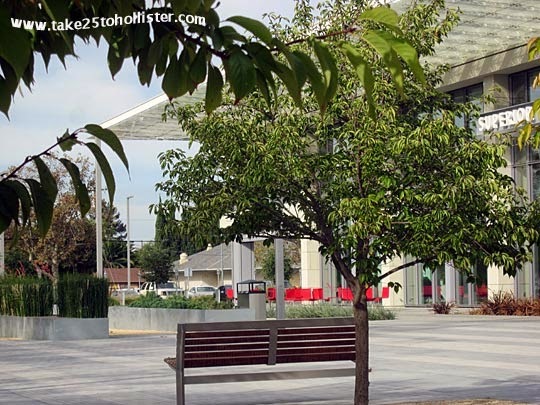 And, if you feel like relaxing in the garden, you can sit on one of the two benches there. Both benches are dedicated to special people in the community. 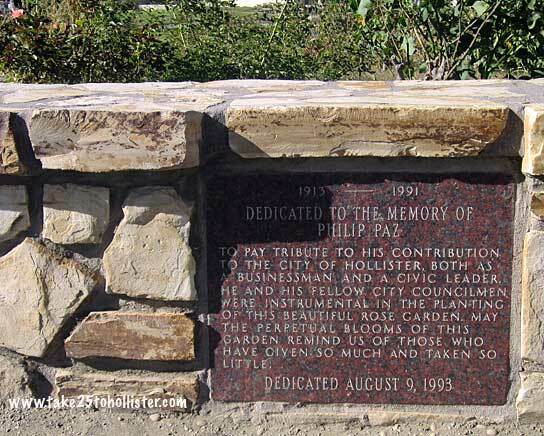 The rock bench is a memorial to Philip Paz (1913–1991) who helped in the design of the rose garden. I like the last line of the dedication in particular, ". . . May the perpetual blooms of this garden remind us of those who have given so much and taken so little." 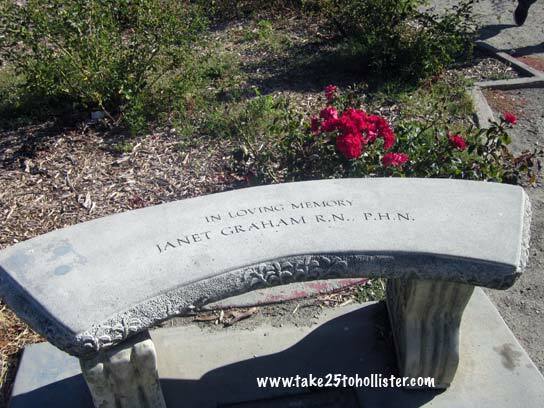 Friends of Janet Graham put in the other bench to honor the late public health nurse and community activist who was very involved in advocating the safety, health, and fitness of the children of San Benito County. Ms. Graham's work continues today through The Janet Graham Memorial Fund. 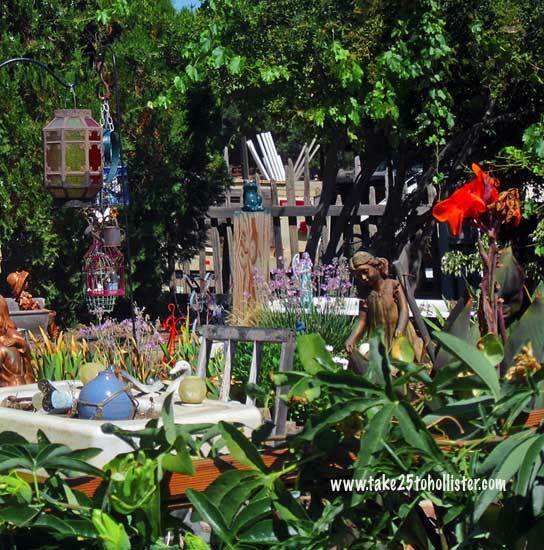 Should you take the nature trail from the parking lot to the Visitor's Center at the San Benito County Historic Village, you'd come across the caretaker's delightful back garden. Flying among the flowers, vines, bushes, and assorted statues and knick-knacks are various butterflies. I saw small brown ones, which slightly resemble Monarch butterflies, that I haven't seen since I was a kid. The caretaker's front garden is equally magical. 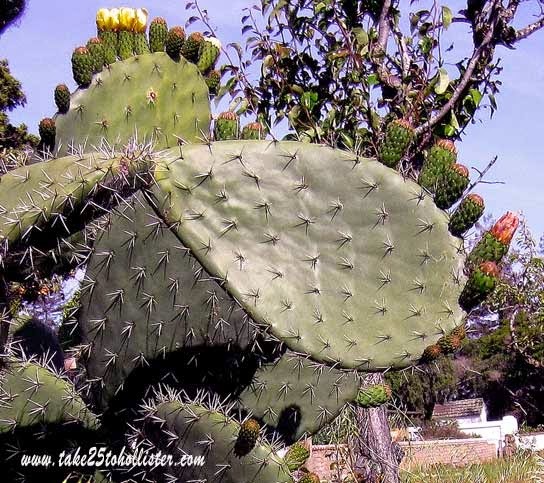 Who else can't pass by the prickly pear cacti in the San Juan Bautista State Historic Park without taking photos of one or more of them? 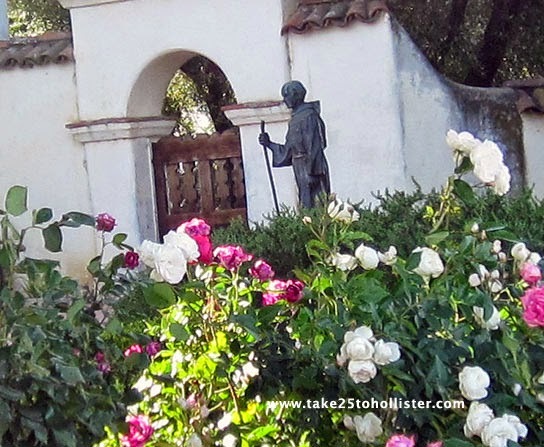 At first glance, it looks like the once-upon-a-time Franciscan monk Junipero Serra is actually taking a late afternoon walk through the rose garden at Mission San Juan Bautista. 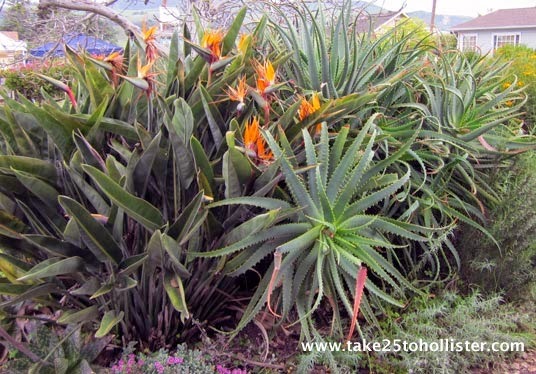 Are you looking for a local independent nursery that sells drought tolerant plants? 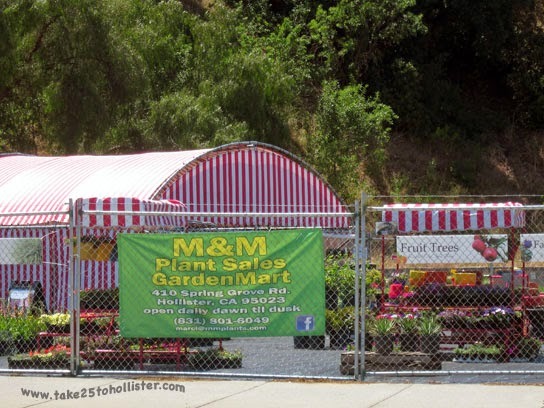 Then, M&M Plant Sales Garden Mart is the place to go. The nursery has two locations. Its main location is 410 Spring Grove Road, off of Fairview Road. 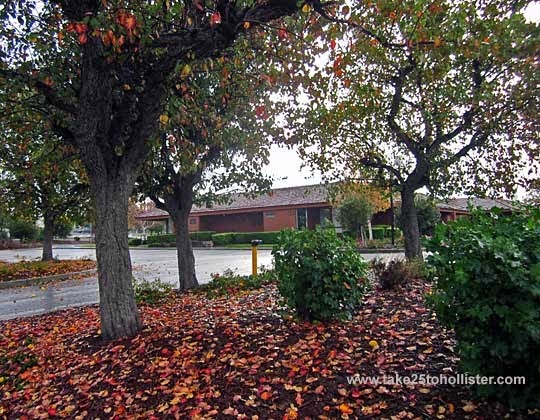 In Downtown Hollister, the nursery is on 190 San San Benito Street, at the foot of Park Hill. If you're driving north on San Benito Street, it's easy to miss the entrance. No problem. Just turn left at First Street, then left onto the gravel lot to the nursery. The main site is open from Monday to Friday. The downtown spot is open on weekends. It's also open during the week, but I can't recall which days. Visit the nursery's website or Facebook page for more details. X is for. . .
Xeriscaping. 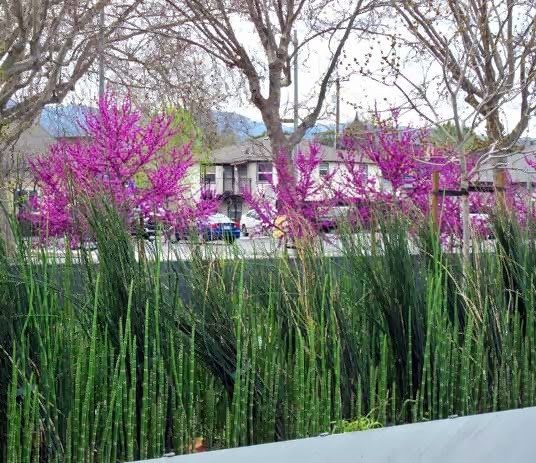 This is a type of landscaping that conserves the use of water. 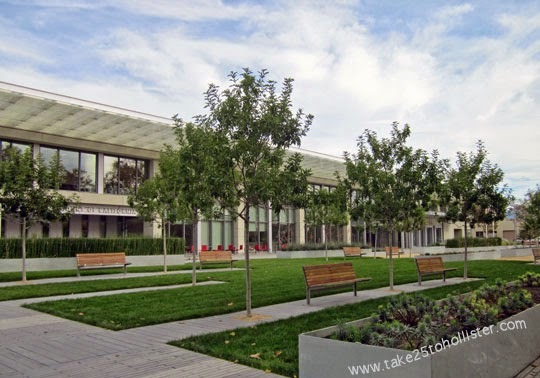 A good example of xeriscaping is the grounds of the new county courthouse on Fourth Street. 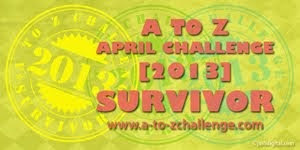 Click here to find other A to Z challenge participants. Yellow leaves in the Fall. Of course, lots of them on the ground with red and orange leaves. 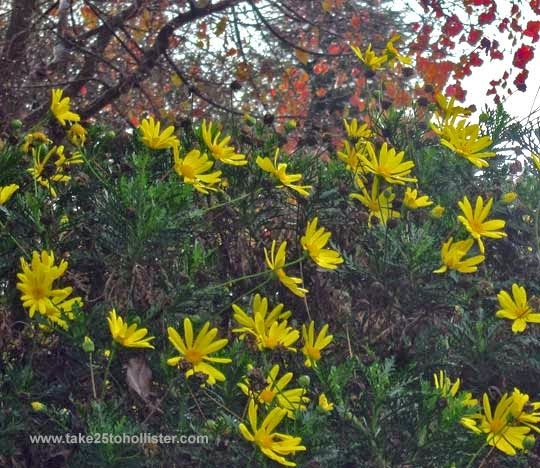 But, yellow flowers in Autumn? Of course not. They pop up in Spring and Summer. Wrong! Yellow daisies and yellow daylilies greeted me as I walked around the perimeter of the Sunnyslope Medical Center yesterday. Today is Monday Mellow Yellows. That's where I'll be, checking out other posts featuring the color yellow. Click here to join me. My favorite setting for sitting in downtown Hollister is the new county courthouse on Fourth Street. The beautifully landscaped grounds is like a little park. And, the benches, as well as the red chairs at the red tables, are comfortable seats. The other morning, the Husband and I hung out there while we waited for our car to be fixed at a shop a few blocks away. It was quite pleasant, sitting on what's becoming "our" bench, reading and watching the cars and foot traffic go by. I'm looking forward to when the trees get bigger. Today the letter is S at Mrs. Nesbitt's ABC Wednesday. That's where I'll be checking out posts of other bloggers from around the world. Click here to join me. 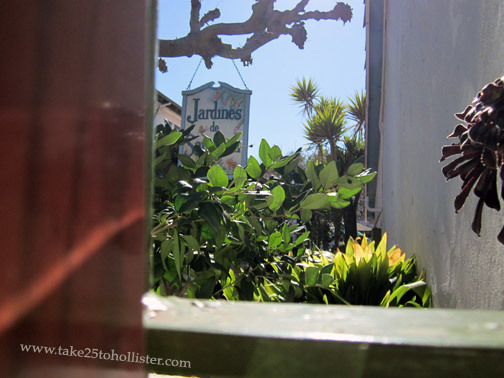 Here's a look of another bit of quaintness that the Husband and I experienced as we walked along Monterey Street the other day in historical downtown Hollister. If you'd like to see a quaint contrast, check out yesterday's post. Today is Mrs. Nesbitt's ABC Wednesday. Check out what other bloggers have posted about the featured letter Q by clicking here. April showers bring May flowers. Okay, we didn't get many April showers this year, but there are still many May flowers to behold. 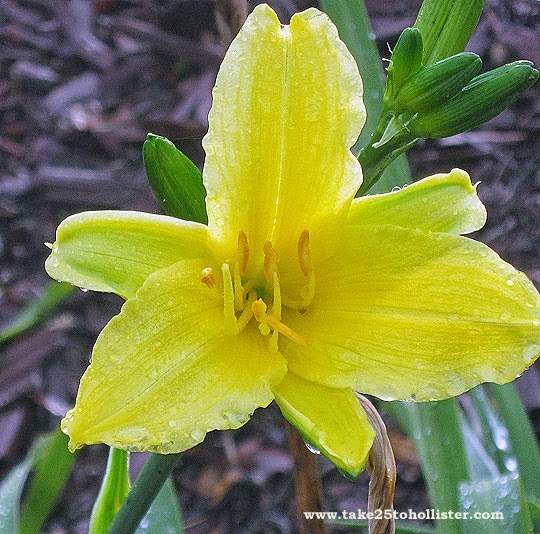 And, over the next two weekends, a couple of flower rambles are available for your pleasure. 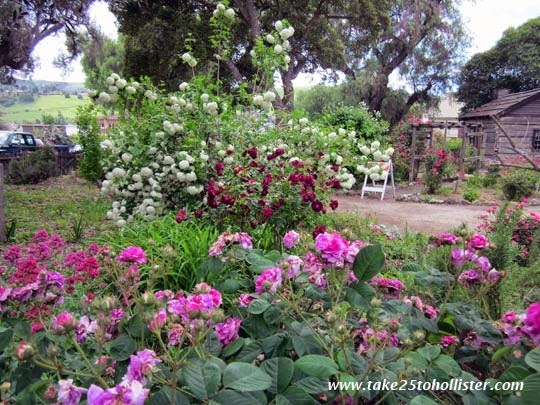 Featuring Artists in the Gardens is the theme of the Aromas Country Garden Tour this Saturday, May 10, in Aromas, about 17 miles west of Hollister. Sponsored by the Aromas Hills Artisans and the Arts Council for Monterey Council, this annual event will run from 10 AM to 4 PM. Participants will be able to take a self-guided tour through ten gardens, including cottage gardens. Master gardeners will be available to answer questions. In addition, artists will be showing and selling their paintings, pottery, sculpture, jewelry, and other art works along the garden paths. Tickets are $15 each or $25 for 2 persons. Tickets are $10 for seniors, who are 65 years or older, and members of the Aromas Hills Artisans. Both tickets and tour maps will be available on May 12 at the Aromas Community Grange on the corner of Rose and Bardue. For for information, visit the Aromas Hill Artisans web site or read Aromas Country Garden Tour 2014 at the Times Publishing Group web site. 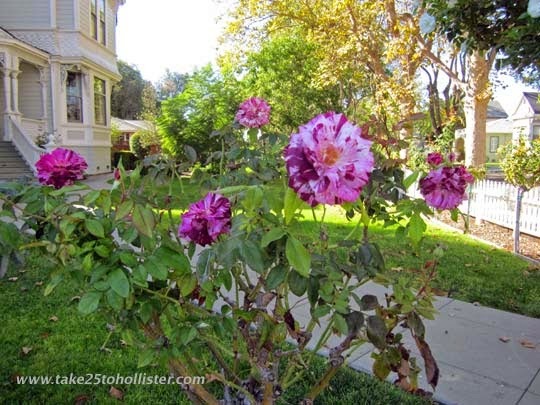 Did you know that San Juan Bautista has many heritage roses, some of which were planted in the mid-19th century? 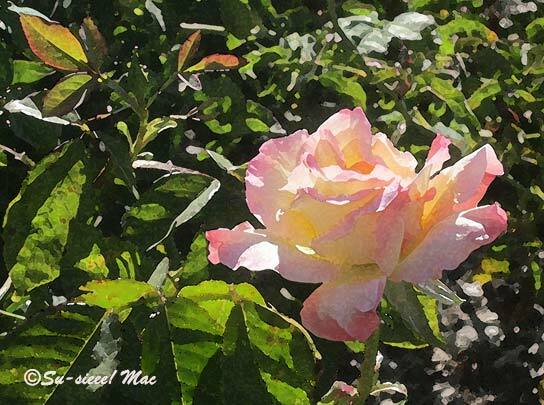 The opportunity to learn about the heritage roses at the San Juan Bautista District Cemetery will be available on Saturday, May 17 when the San Juan Bautista Heritage Rose Group offers a free Heritage Rose Tour and Propagation Workshop. Leading the walking tour will be Jill Perry, the Curator of the Collection at the Heritage Rose Garden in San Jose. Also on hand to assist her will be Jeri Jennings, the National Convener for the Heritage Roses Group. The tour will include collecting rose cuttings for a propagation workshop to be held at the historic Marentis House on 45 Monterey Street. The tour will start at noon at the bottom of the cemetery at 70 Monterey Street. The propagation workshop at the Marentis House will be from 1:30 to 3 PM. Participants are requested to bring a hat, water, pencil, and paper. If interested, participants can also bring clippers and gloves. For more information or to sign up for the tour, email Wanda at wguibert (at) gmail (dot) com or call her at 831-623-1672. Preregistration for the tour is not required. The roses are bursting in bloom around town. Have you noticed? 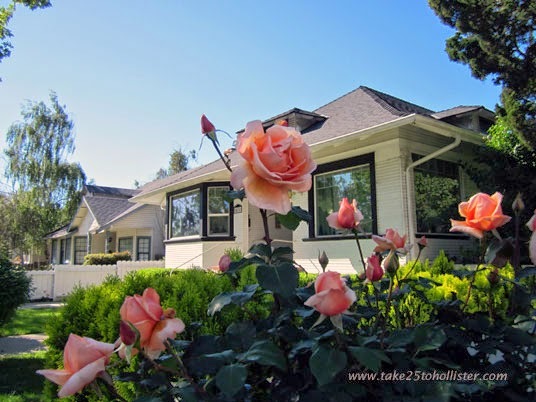 The other day, the Husband and I stopped to admire the roses in front of a house on Seventh Street. As I smelled a red rose, the Husband, having no sense of smell, asked, "Do the different colors have different smells?" I leaned over to sniff an orange rose. "Yes, they do." I can't remember what I told him the rose smelled like, but the red rose reminded me of the taste of vanilla. 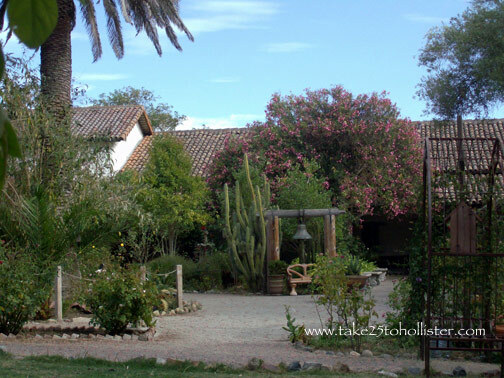 The definition of picturesque: San Juan Bautista. I am so thankful that digital cameras were invented. I could easily go through a roll—and more—of film each time I went to San Juan if I was still using a non-digital camera. Huh? What are those you say? As for the photo. All I remember is that I was walking along the main street and happened to peep through a gap in a fence. The place: Jardines de San Juan. This Sunday, June 19, is the annual Old Mission San Juan Bautista Annual Fiesta in...yep, you got it...San Juan Bautista. The fiesta honors the founding of the mission on June 24, 1797. The fiesta will be from 11 a.m. to 5 p.m. in the olive grove next to the mission. The event is free. There will be food booths, including a BBQ chicken lunch at $10 per plate. For more details, go to this link at the Diocese of Monterey. 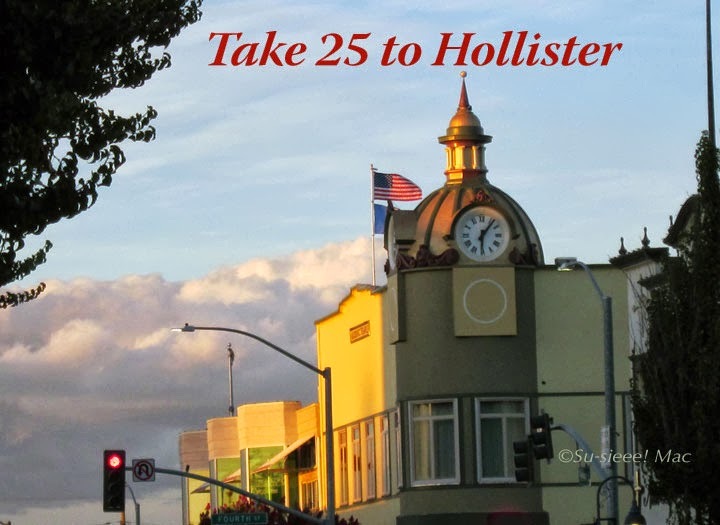 Looking for Something on Take 25 to Hollister? 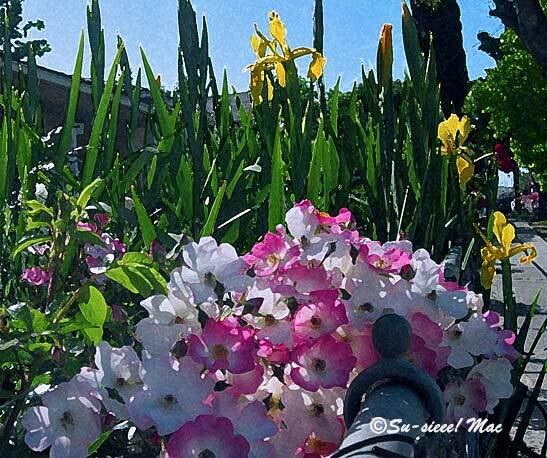 Check here to see the postcards, or go directly to Zazzle by clicking below. Photo © 2010 Richard A. McDavid. © 2008-2017. All text and photos (unless otherwise cited) by Su-sieee! Mac. Simple theme. Powered by Blogger.